South Kensington Kai is a group of alumni of Imperial College of Science, Technology and Medicine. The members of SKK are mostly Japanese people who are former students, graduate research students, post-doctoral researchers or teachers at Imperial College. SKK started its activities in 1981 when the group called itself IC Kai, and renamed itself South Kensington Kai in 1982. Approximately 400 people are currently registered as members of SKK. The register includes people working and residing all over Japan. All activities are pursued on a not-for-profit basis. A combined annual meeting and reunion is held on a regular basis. All reunions to date have been held in Tokyo. Other meetings are occasionally held, for example, for lectures by staff from Imperial College when they visit Japan. Other activities include periodically updating the list of members, and maintaining this internet site and mailing list for members. Welcome to the South Kensington Kai Website! My name is Koichi Hishida, President of the SKK. I was appointed as President at the AGM in 2013, when ex-president Prof. S Nakamura stepped down. Three vice presidents were also elected at the AGM: Dr. Takaya Seki, Prof. Toru Sato, and Mr｡･Shigetoshi Yanase. Our new organizing team consists of the president, three vice presidents and a few more committee members, and will try hard to make the SKK more attractive and enjoyable. The main event of the SKK is the Annual General Meeting and Party which is usually held every autumn. The AGM and Party is not only for SKK members but also for people who are going to study or conduct research at Imperial College, which is a really enjoyable event. The details of the AGM for this year will be announced on this website when the date and the venue are decided. Although Imperial College withdrew from the University of London in 2007, the SKK remains a member of the University of London Alumni Association in Japan. Therefore, the SKK holds events such as a monthly Drop-in Party and an annual joint party for alumni of the University of London with other alumni associations. 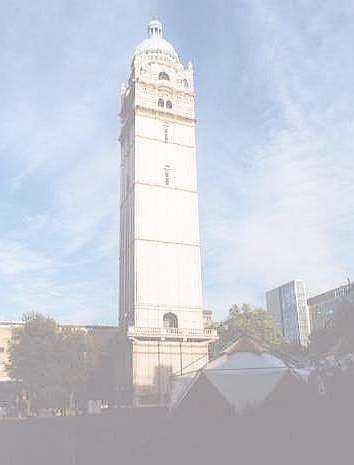 Imperial College is well known in the field of engineering and medicine not only in the UK but also in Europe. You can see details about the college in the Imperial College website. South Kensington Kai is a group of alumni of Imperial College of Science, Technology and Medicine. The members of SKK are mostly Japanese people who spent some time at IC as regular students, research students, post-doctoral researchers, teachers or other types of employment, but the alumni of Imperial College from other countries who reside in Japan can be members. If you or your friend is eligible for the SKK but are not a member yet, please apply for the membership from this page. If you know anyone who is eligible but is not a member yet, please let them know about the SKK. I hope you enjoy the SKK website.